Each kit comes complete with an SRA2 White Core Mountboard 1400 Microns with machine bevel cut apertures, which offer a clean crisp cut. 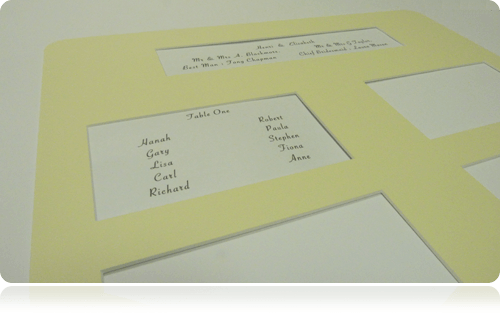 A matching colour back board to mount your printed guest names on. A roll of double sided tape. A4 paper 120 gsm to print your guests names (suitable for inkjet and laser printers) Easy to assemble with a little creativity stunning effects can be achieved. Finished Portrait Size is 450 x 640 mm ( Approx. 17 inch x 25 inch) A smaller A3 table planner is available see other items in this category. 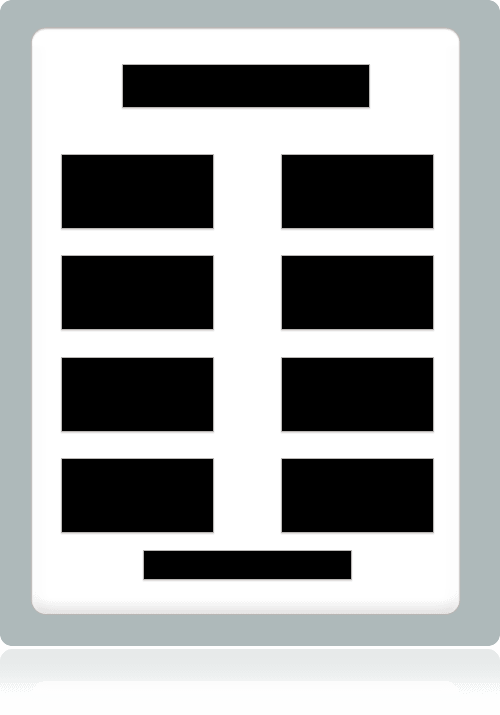 These sizes have been designed to ensure that you can print from an A4 printer. This mountboard is lignin-free, alkaline-sized, pH neutral and is calcium carbonate buffered to enhance its useful lifespan by minimising the effect of atmospheric pollutants. Manufactured in the UK.